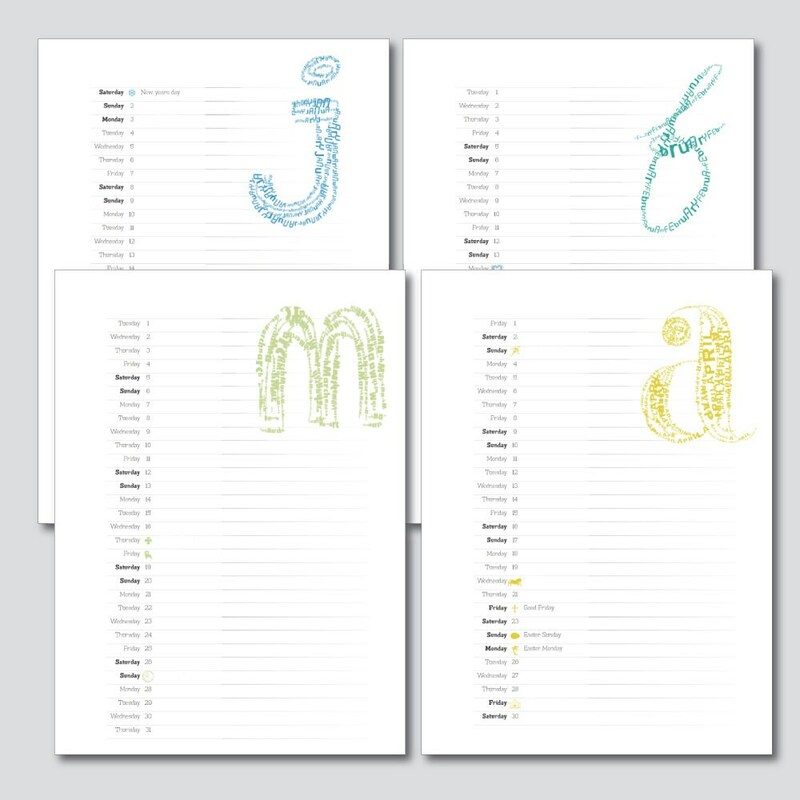 This is a 2019 monthly clipboard calendar / planner for you to print yourself. 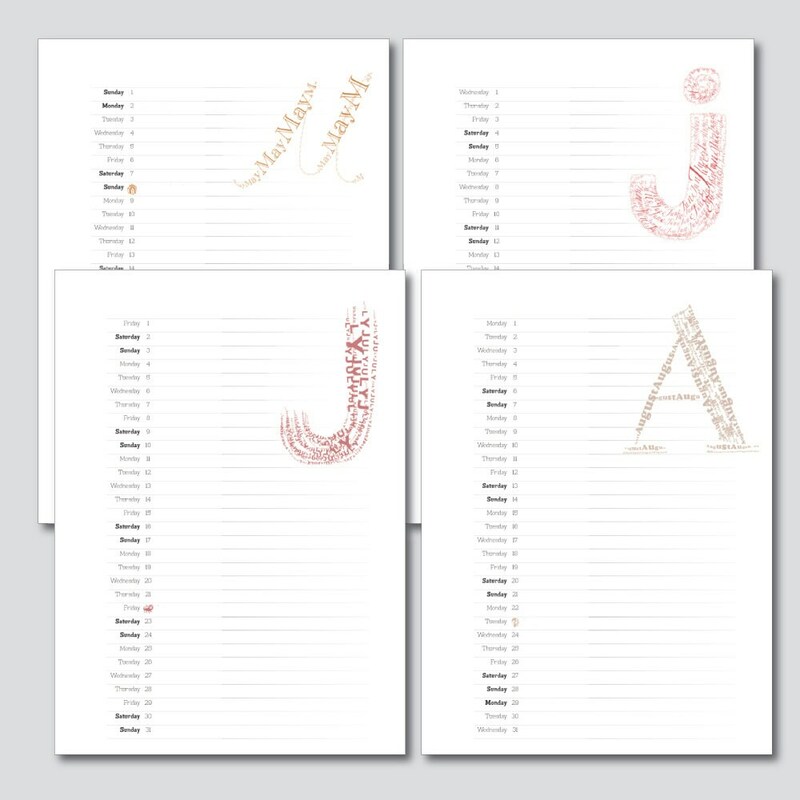 It features fun and quirky hand drawn month initials in colours that change with the seasons and nice wide rows so you can add lots of appointments and plans. It can be wall hung or used on a clip board. If you punch one or two holes along the top edges you can hang your prints by a cord. 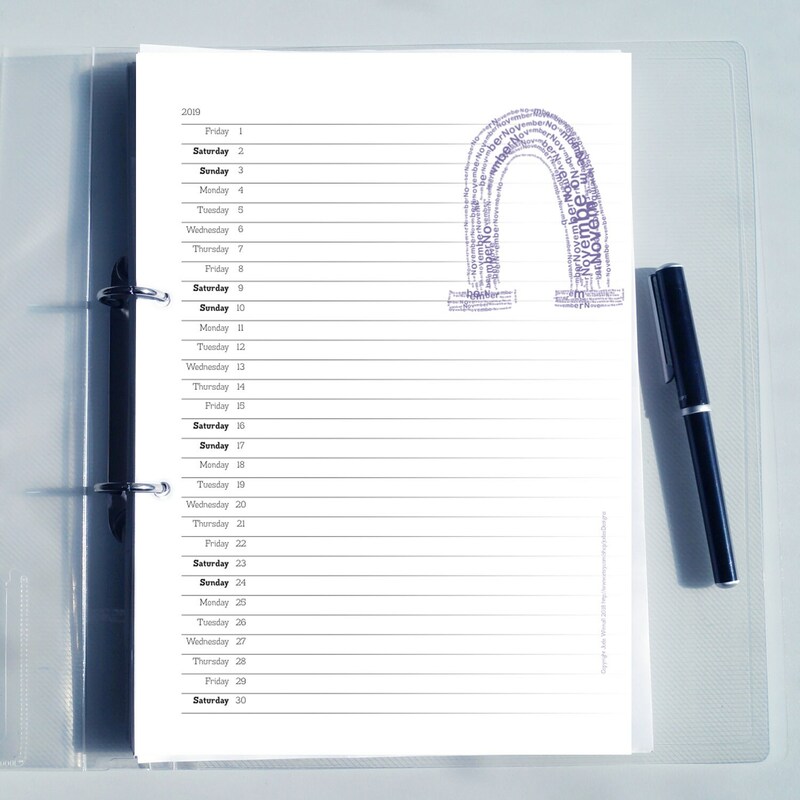 Alternatively you could punch two holes on the the left hand edges to fit a ring binder. • 12 pages from January 2019 to December 2019 inclusive. • Only includes Easter, Halloween, Christmas and New Year. You add the rest. • No shipping costs. 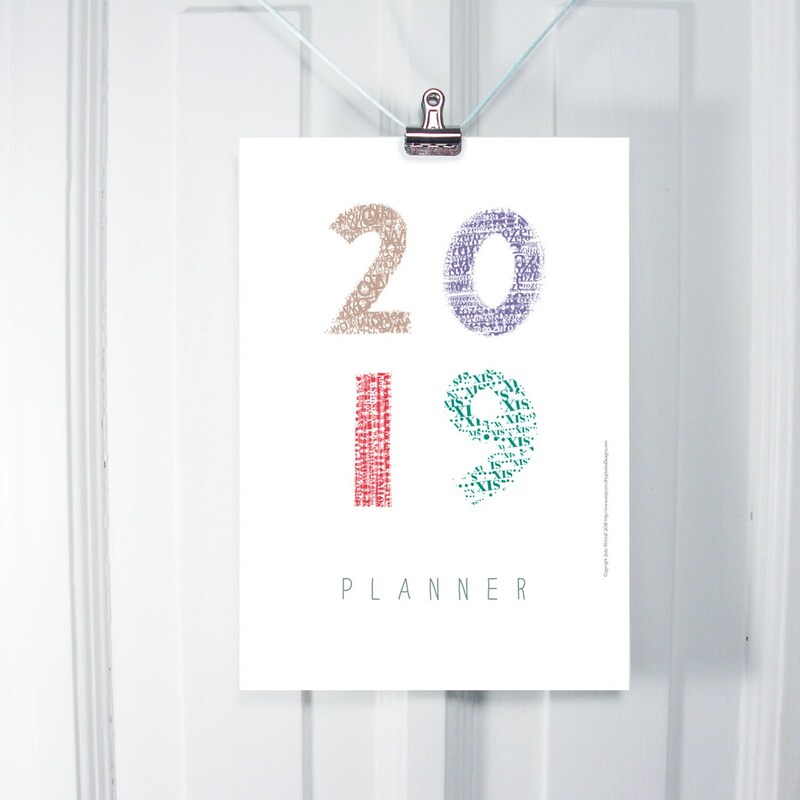 You can download the planner pdf as soon as you have paid. Copyright 2018 Jude Winnall. Pdf's are password protected so printing is restricted to low resolution output on home or copy shop printers. Also text and images can not be edited or copied.You may print the pdf for yourself as many times as you like. 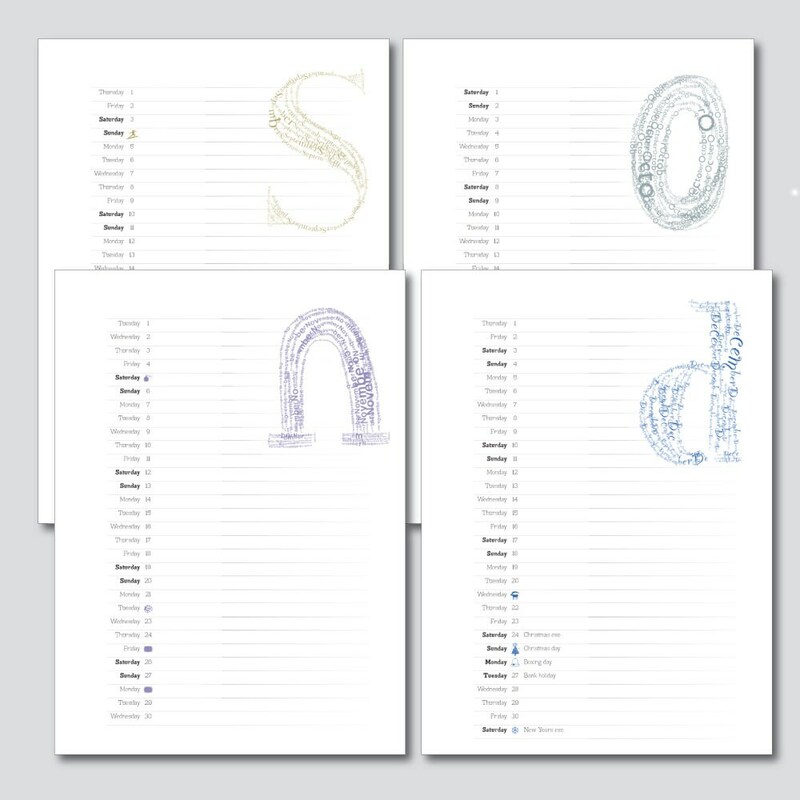 You are not permitted to sell the planners or distribute the pdf to anyone else. 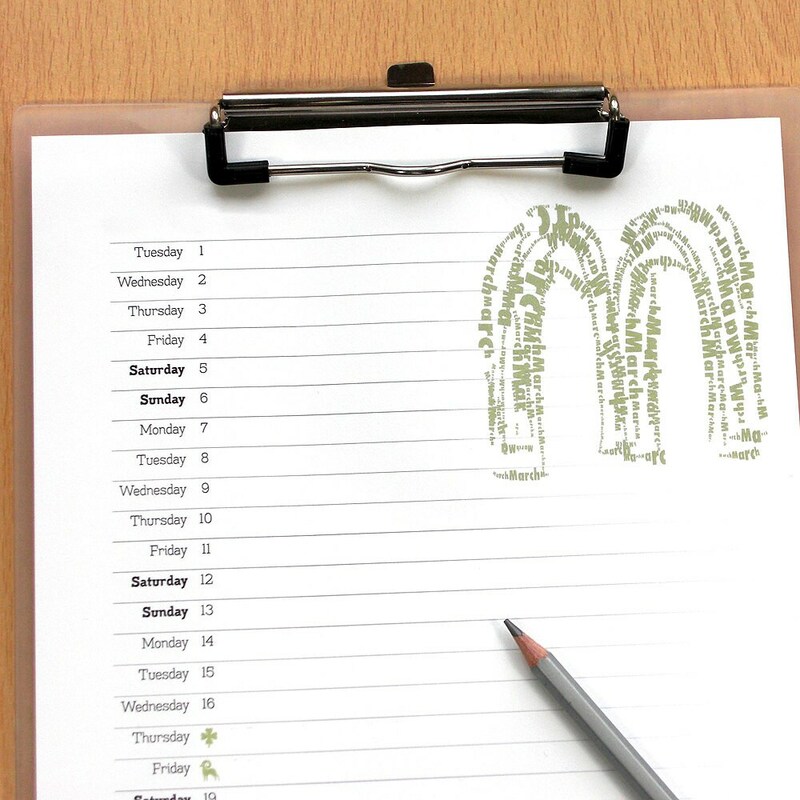 Love this Planner it's Brilliant - Thank you! !